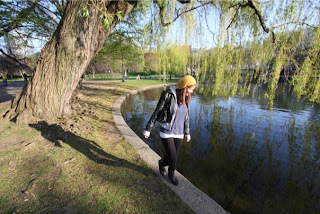 A walk in Boston Commons. I've been putting off "start blogging" on my list of things to do for a long time now so hello again! I recently finished school and jumped right into the real world. I moved into a big girl apartment with a friend and fellow 20-something year old. I work in the Financial District trying to retain my design sense and moral while catering to the corporate and non-profit world. Blogging seems to be the quickest and easiest place I can squeeze out my creative juices at the moment. I hope this is the beginning of another incredible chapter in my life and I can look back and reminisce on my fabulous 20's.